How often do we dream of faraway places and adventures in cultures that are unfamiliar to us? Travelling to distant lands on a tight schedule often only allow us to skim the surface of what is unique to a place. Living in another country, on the other hand, and being open to the magic that lies beyond the obvious is a special opportunity, not just for excitement and adventure, but also for introspection. It is when one allows a country to permeate one’s consciousness that a deeper understanding and appreciation of everything that makes us different, yet the same, can surface. Not only was I born with itchy South African feet, but also a curiosity and interest in the world at large that reading on its own, will never be able to quench. As a result I have done au pair work in Germany, taught English in Taiwan and Korea, had a stint in Kenya and Zambia, and walked across northern Spain following the Camino Francaise from St Jean Pied du Port to Finisterre. Shorter trips took me to Namibia, Botswana, Zimbabwe, Lesotho, Hong Kong, Singapore, France, Austria, Holland, Portugal, India, Thailand, Cambodia, Ethiopia, Oman, Nepal, Turkey, Jordan, Brazil, Myanmar, Indonesia, and Malaysia. My life is rich with experiences and stories from my travels. Since my arrival in the UAE on 20 October 2011, my senses have been flooded with images, sounds, tastes, smells and textures. It is this gentle stirring of the senses that is compelling me to exploration, discovery, self-expression and sharing. It was great to travel so far without moving. Yo! Dis absoluut stunning – die see lyk soos n meer – is daar enige golwe? Lyk my jy’s in jou element my pel! Wat van kos? Wat eet jy wat buitengewoon is? OOOOOOO en wat van klere – het jy al iets gekoop wat ons sal laat kwyl? Mis jou! Net besig met yoga yoga yoga! Die see hier is soos ‘n groot dam. Like this blog! Good photographs, well written. And indeed; living for 13 yrs now in South Africa (and before that travelled extensively the globe) I think it would be good for many people, privileged South Africans not excluded (!!! ), to sniff the fragrances of other worlds outside their own home/countries. Thank you so much! I cannot agree more. Travel, especially living in a different culture, is not only an eye-opener, but a way to become more tolerant and compassionate. I certainly recommend it to everyone. I’m in awe of your travels.. and now living in the UAE. More to explore 😉 Would love to hear more about your experience on the Camino.. I’ve been toying with the idea! Thank you, Amit. The Camino is an experience like no other – I highly recommend it. Go with no expectations and simply allow the journey to teach you. Above all: do not rush. Just be aware that the French Way gets very busy during July/August. I would love to go back to Spain and walk one of the other Caminos (Camino del Norte or Via de la Plata). I wish you well on your journey to health and through life. Can you recommend a website that provides a good overall view and pros and cons of the different routes/paths? I was leaning more towards September, thnx for the headsup! September is a beautiful month to walk in. I can remember that I made use of the following website: http://www.santiago-compostela.net/ It has information on all the different routes. I have read extensively before the time, but have found that my experience was quite different from what I’ve read. There are many places to sleep along the way, and yearly new ones are added, so do not be put off when people write “bad” reviews. You are more than welcome to contact me via e-mail if you have specific questions. I’ll answer them as best I can. Thanks for stopping by http://www.TravelByTerry.com I am so glad you liked my latest post “You Say St. Martin And I Say St. Maarten”. I am very impressed with your site and I look forward to checking it out a little further. Thanks for the follow Jolandi, I would also love to follow your blog! A fellow peregrino! I do hope you make it back to the Camino one day. Those early stages from Saint Jean are wonderful to walk! Hi Julie! I hope that your dream of the Camino will come true for you one day. In the meantime: happy blogging, and sharing your daily travels through life. Thanks for following my blog, and best wishes on your adventures. Thanks for sharing them, too, in your lovely blog! Lovely blog, Jolandi! Thanks for stopping by and following, we feel honoured! Thank you very much, I’ll check that out. Thanks for visiting and liking our blog post. You have some really interesting posts on here, as well as some gorgeous pictures! Thank you Jo. Happy travels to the two of you. Thanks for stopping by and liking my post! I’m so happy you did, as it allowed me to discover yours! I just started learning Arabic and traveling to the Middle East, I’m looking forward to perusing your posts! Thank you! You expressed this so beautifully! Cheers from Latvia! Good luck with the blogging. It is a whole lot of fun. Greece is on my bucket list, but until I get there, I’ll experience it through your eyes. With one South African and one Greek foot you must certainly love the outdoors. Happy adventures. Thanks for visiting my blog and liking my post about Lake Bolsena, love your photos. lovely write-up. i am extremely envious of your extensive travel! good-luck to a lot more… thanks for visiting my blog! As sodaglass said above, I too am envious of your travel. I do wander quite a bit closer to home though, and I see you’ve chosen to follow my wanderings, so thank you very much for that! Those are some beautiful photos of the desert sands, and I enjoyed what you had to say about your love of the desert. Well written! Thank you very much. No matter where one wanders, there is always beauty to be found if we are prepared to notice it. Your photographs are good examples of this. Thanks Harold. It is certainly a whole lot of fun adding travel adventures to my life that I can enjoy from the comfort of my couch! I spent many happy years in that part of the world. Loved it. Thank you Safia. It is lovely to make your acquaintance in cyberspace. I lived in RAK for only 7 months, but absolutely loved it. Although I enjoy Al Ain, I do miss the view I had of the mountains and the sea in RAK. Jolandi, your travels sound enriching and exciting. Cheers to you for picking up and going off to explore new sights sounds and adventure. That is part of my life at this point as well, though my travels have not taken me out of America for several years now. Perhaps soon… Thanks for the likes on my pages and I hope to keep in touch. Your photography is an excellent view of the world. Thank you, Alex! I do believe that all travels are enriching no matter where they take us. There is beauty to be found everywhere if we allow ourselves to notice it, and you certainly find yourself in a whole lot of “beauty”. Happy travels and thank you for allowing me to get a glimpse into your world. So true Jolandi, so true. Thanks as well, and you’re welcome. I’m no stranger to sharing with others and happy to let you see what’s going on with the travels. Keep in touch. Thanks Alex, that is really kind of you. You’re very welcome. Hope you’ll continue on the nominations and that you’ll share some interesting facts about yourself as well. Talk again soon. Be well. Wow! You really were born with itch feet! Thanks for the Like on Seeking Hearts of Italy. Looking forward to seeing more of your travels! Your story and journey is really an interesting one Gwendoline. Maybe we will bump into one another when you are in Abu Dhabi. 🙂 Do go to the Sheikh Zayed Mosque when you are there – it is magnificent. Your blog was one of the 1st I followed by someone I haven’t actually met. And have been enchanted. I hope you don’t mind, however would like to nominate you for the Liebster Award. Ah, thank you so much. I feel honoured. Hi Jolandi, thanks for following me. Whao! The amount of travelling you have packed in is mind boggling. And I thought I am well traveled. I’m glad you are going to try the other type of journey from your arm chair through my blogging, as I intend to be dishing out Nigeria’s rich, ancient cultures on my sites. Steady tuned. Thanks for stopping by and liking my blog. I look forward to checking out more of the photos on your site, and I appreciate your writing skills. Hi Jolandi, thanks for liking the blog for triptao.com. I love my “settledness” for now CK, but life here is quite transient, and although I love it here I have never lived for more than 5 years in one place. So who knows what the future holds! Ah, thank you. You are most kind! Thanks Kate. I hope my stories will help you remember the time you spent here. It certainly is an interesting country. Good luck with your recovery, and may many travels still await you. Thanks Jolandi for stopping by at my site and following. You seem to have traveled a lot, at least by my standards. I am still finding means to do that. Lovely photographs you have taken. Please do keep coming to my site and also share your views on my posts. Interestingly, I was using the same theme which you are using until I changed to iTheme2. Looks great though. Nice blog. Keep it up. How we engage with the places we visit, I believe, is far more important than the number of places we can tick on a world map. The joy of travel is to embrace every moment and opportunity that arises. It is a lot of fun looking at the world through your eyes! Hello Jolandi! Thanks for liking my post “Masterpiece”. I think is great that you have lived in a lot of places. It’s a great adventure and experience. The professor sends his greetings. Very nice to meet you. It is a great book. I hope you are enjoying it. Good luck in figuring out your next adventure! It would be interesting to see where life takes you next. Hi Jolandi! I nominated you for the Shine On award. Just a little recognition for your creative and inspiring blog! You can see details at: http://theseasonedtraveler.wordpress.com/2013/09/26/the-shine-on-award/. Congrats! Ah, thank you so much. I feel honoured. Especially coming from someone with such a delightful blog! Thank you so much Prasad! Thanks so much for visiting and following our blog. We are back after an extended summer hiatus, hope you will enjoy reading more about our Tuscan life. Your blog is a portal into another world…fascinating: Thanks for sharing. I love this part of the world, but in the UAE have only made it to Dubai. Would be very interested in hearing your thoughts on different Emirates and how they compare. Are they all fairly similar? I would say all the Emirates in the UAE are both similar and different to one another. Except perhaps for Dubai, which, according to me, is just different. Although Dubai is an interesting place to visit, I find it extremely superficial and not at all representative of Emirati culture. For something more ‘authentic’ it is best to travel away from both Dubai and Abu Dhabi. Al Ain (part of the Abu Dhabi Emirate), as the “garden city” is home to many oases and beautiful red dunes, while Ras-al-Khaimah (perhaps my favourite Emirate) has high mountains, the sea and red dunes. 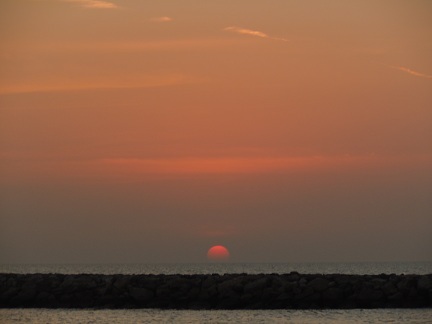 Kalba on the east coast (part of the Sharjah Emirate) is worth a visit, as is Fujairah. . . Perhaps one has to linger a bit to notice the differences, but there is immense beauty to be found in this country when one is prepared to look past the glitter of Dubai. I hoped you’d say that – about Dubai at least. It did seem a bit too polished. Ras-al-Khaimah sounds interesting. Next time I’m on my way through, I’ll head that way. Thanks! Having lived in Abu Dhabi in my early teen years and having travelled a little around U.A.E., it has been with great pleasure that I have followed your blog where you have shared your more recent experiences in the country. Thank you! I wanted to let you know that I have nominated you for the Liebster blog award – http://wp.me/p3Nc97-e2 and I hope you accept the nomination. How very kind of you Ahila. I feel honoured. Hi Jolandi, Thanks for the likes and follow. Hope to see more from middle east from you. Hello, Jolandi, and thanks for visiting Still Life with Tortillas. You blog looks amazing and I look forward to reading more. Thanks Cristin. That is very sweet of you. Hi Jolandi, I was new to blogging last year and I guess I have explored hundreds of different blogs over the year – people who live in Spain, writers, photographers, foodies, book reviewers and some I struggle to define! That’s a lot of reading. And you too have read my blog, in its first year, when I was finding my way. So as a big THANK YOU for your support, I’d like to nominate you for the Dragon’s Loyalty Award. Please accept this message as a gesture of gratitude, so if you don’t want to follow the award’s rules then that’s fine too! Many thanks, and Happy Blogging in 2014. Thank you so much for this kind and generous gesture Sandra. It is much appreciated. You have a lovely blog. I thoroughly enjoy visiting your Spanish Valley. Oh how lovely. Thank you Jadi! We’ll be in Dubai from late on 18 May until early evening 21 May. We booked a place through AirBnB and I think it’s near the old town. Any chance of meeting? Would love to. I’ve just sent you an e-mail. Thanks, Nancy. That is very kind of you. Thank you for visiting my blog! Your blog is fab and love your pics. I imagine you might know my sis Lynda (Longhorns and Camels?) Anyway…..look forward to reading more! Hi Diana. Yes, I follow her blog. Seems that you two are living very interesting lives. I’ve never been to Italy, but absolutely love reading about it. How sweet of you. I feel honoured. Thank you. Hello blogger .Glad to connect here through Arabic dreaming blog . inspiring writing and great traveling. all the best with your travel and life journey through blogging and all. Welcome . Planing to make AD bloggers and writers community .Looking Advice and suggestion from You ?. I hope your itchy feet will take you to wonderful places, Mary. Mine hasn’t taken me to Bali yet, but your blog may just inspire me to do so soon. you should come, its a great place! Thank you for stopping by my blog and for the like! Your blog looks great! Many places I hope to go to one day! You are a wonderful writer and have traveled to so many places. How lovely that you are sharing your experiences! Have a lovely Sunday! Thank you, Anne. Hope you are having a wonderful day too. Please accept this nomination, go to the site below for details. Thanks, Anne. That seems like fun. Wow interesting travels! look forward to reading more! And I am looking forward to trying some of your recipes. Yum! Thank you, Winny. I love your quotes and beautiful photographs. Thanks so much for stopping by my blog and the Like, Jolandi. I have traveled a lot in my life, and lived in different places, but nothing compare to your travels. I’m looking forward to reading more of your blog! Good blog – look forward to reading more! Thanks for your visit and liking one of my posts, Jolandi, in turn enabling my connect with the sweetly seasoned traveller that you are. My travels and outside assignments have taken me to places like Oman (lived and worked there for over ten years), UAE, Bahrain, Egypt (worked and lived in Alexandria for couple of years), Singapore, South Korea and Japan. Right now I am in Johannesburg, will be here till end October. What a lovely place. Look forward to staying connected and exchanging views…best wishes.. Raj. How lovely it is when one’s work takes one to far off places. I love to linger in a culture, and your life has certainly taken you to a variety of interesting countries. I am looking forward to reading more about all your adventures and insights. What a rich life you’ve lived. Enjoy Johannesburg, and the cold South African winter. Thank-you so much for visiting my blog. I have been looking at a few of your posts this evening. You write so well and the photographs are very good – I will be back for more! thank you very much for taking an interest in my blog and following, much appreciated. here’s to more happy travels and discoveries. I am also looking forward to following your stories, Rosemary. How wonderful. You were indeed lucky to have been able to work at your dream job. And what a creative way of earning a living at that. My head is spinning looking at all the wonderful places you have been visiting. I have always been fascinated with Petra, though I have never been there. I love “Antiquity.” I have been to Turkey, and explored Roman Britain. It would be wonderful to be free enough to travel like you. I cannot look at all you photos at once as it is overwhelming, so I shall stop by from time to time. Thanks for visiting and following. I look forward to exploring your blog too! Thank you, Terri. It will definitely take me quite a while to read through your life’s adventures too. Happy travels. Terrific thoughts, Jolandi. Am looking forward to checking out your blog. I liked your blog. sometimes its good to take the break from work and do some adventures. I absolutely love going on ‘virtual’ adventures. There are so many interesting people and places that I would never have ever seen or known–if not for the photos and stories. I completely agree, Mary. The world is full of beautiful places, and people doing interesting things. Excellent images. Your posts help us visit the world when we can’t be there. Thank you. That is why I love reading travel blogs, as it allows me to travel where I often know I will never go, or inspire me to add places to my ever-growing bucket list. I realized you’re near the place where I am haha! So let me know we can meet up in Coffee Architecture as per your post recently. 🙂 Cheers! It would be lovely to meet up. I’ve sent you a private e-mail.